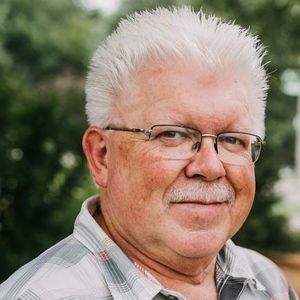 Kevin Engeseth, 62, of Zeeland, passed away on Wednesday, April 10, 2019, from complications of influenza. Kevin was born in Niles, Michigan, on August 16, 1956. Kevin worked for 26 years at Zeeland Lumber and was a member of First Reformed Church of Zeeland. Kevin is survived by his wife of 26 years, Shelley Engeseth, children: Raelyn Diekema (Austin), Ethan Engeseth, Allison Engeseth, Kirsten Engeseth, Thorin Engeseth; mother Patricia Sween, father Emmeth Engeseth, sister Leanne Engeseth, sister Mildred Hamilton, brother Emmeth Engeseth (Sherri),brother Eric Engeseth (Sheryl), sister Kimberly Engeseth-Young (James), sister Lori Engeseth-Madden (Scott), in-laws: RJ Urban (Jenny), RJ Hoezee (Raquel), Brittany Cichanski (Joe); and many extended family and friends. Services will be held at 1:00 pm, Tuesday, April 16, 2019, at First Reformed Church of Zeeland, 125 E. Lincoln Ave, Zeeland 49464. The Revs. Steve Petroelje and Scott Van Oostendorp will officiate. A reception will follow at the church. Memorial contributions may be made to DeVos Children's Hospital.